Energize and beautify your interior spaces with these gorgeous live succulents planted in stunning, powerful, high quality crystals. These beauties look amazing everywhere, but especially on bedside tables, desks and bookshelves. Amethyst is a powerful crystal that enhances inner strength. Quartz is the universal stone of pure and powerful energy. Rose Quarts is the beautiful stone of love and acceptance. 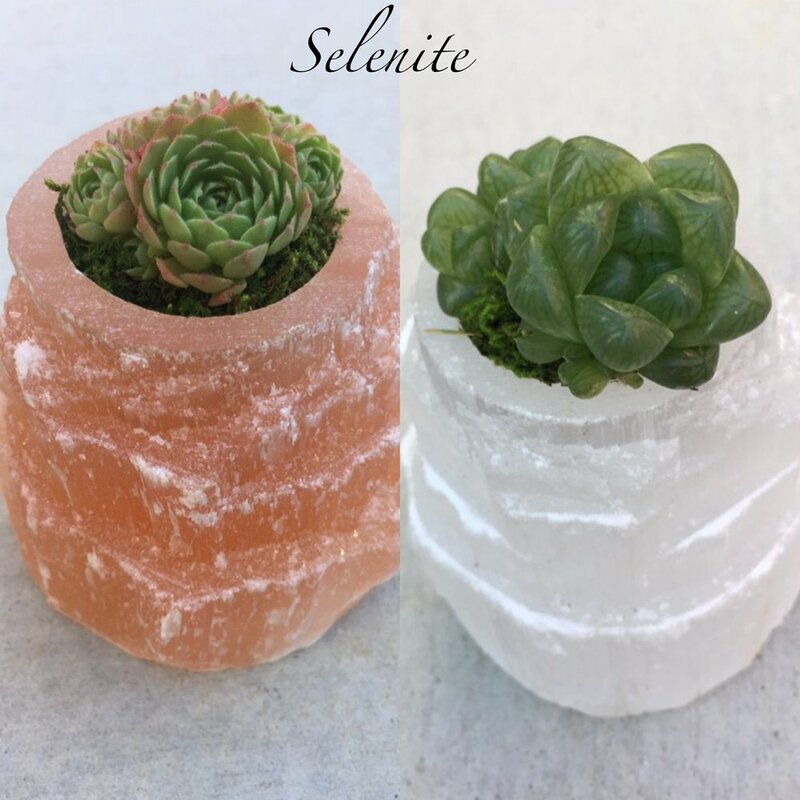 Selenite is connected to spiritual consciousness and self-esteem. The powerful stone of communication, clarity and self-expression. Do you have a wild idea in mind? Or are you looking for a piece to match a particular space? I got you covered. Fill out our custom order form and I'll be in touch so we can start creating the arrangement of your dreams.